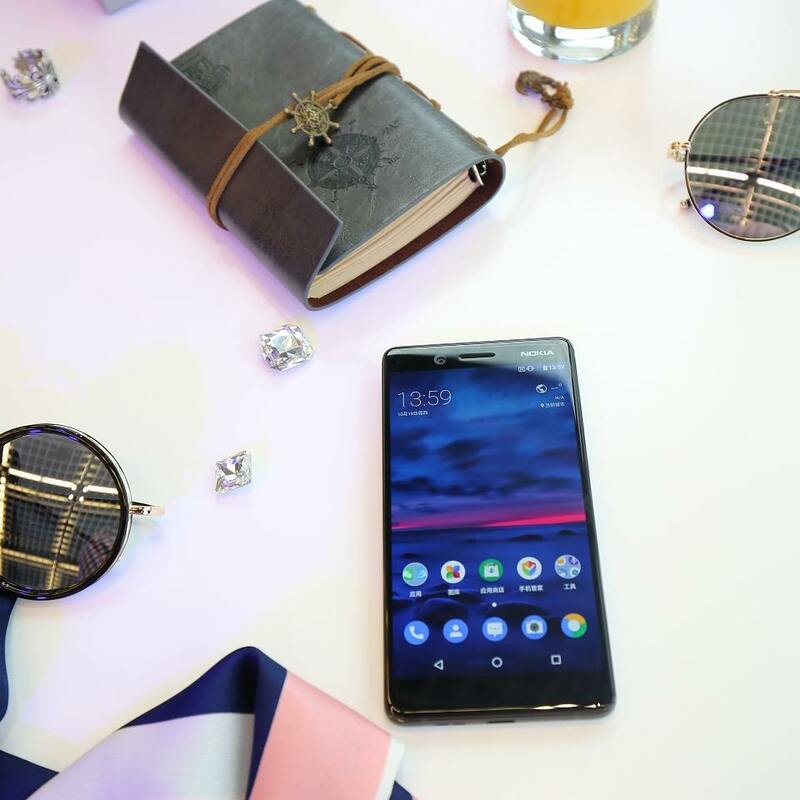 In October 2017, HMD Global released the Nokia 7 – a beautifully designed Nokia device that has been, unfortunately, only available in China, but things could change. 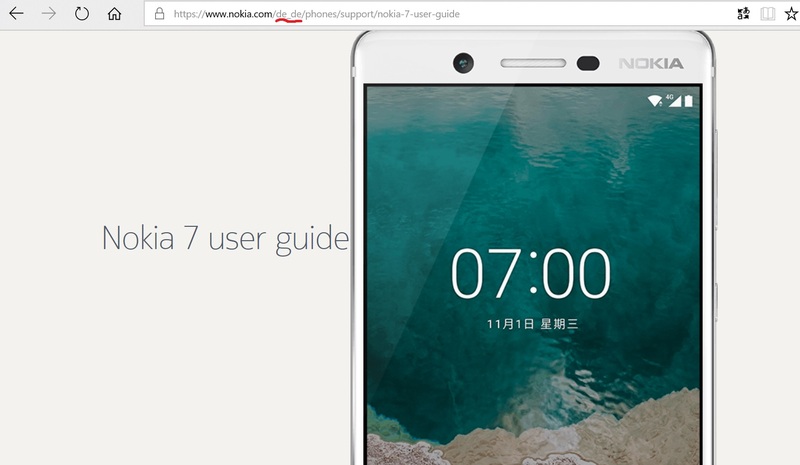 User manuals of the Nokia 7 appeared in different languages and on different regional Nokia sites, like the Nokia site in India where a manual in English is available, or in Germany where the 7’s manual can be read in German. Manuals in other languages are probably available as well, but didn’t check them all. I went through the manual searching for the unique features that can be found on China variants of Nokia 6 and 7 like long screenshots or screen recording, but these features weren’t there. A strange thing with the manual for the Nokia 7 is that the app “Photos” is referred to as “Gallery”, and maybe it’s just a typo or people who created the manual didn’t take much care about the details. For example, Nokia 8 manual refers to (Google) “Photos” as the app for accessing photos, while the 7 says “Gallery”. Maybe it’s nothing, but the Chinese Nokia 7 has a custom gallery app and referring in the English manual to “Gallery” instead of (Google) “Photos” could indicate that we’re not dealing with a global version of the device, or HMD plans to make a custom gallery app. The 3rd option, that I find most likely, is that the person writing/translating the manual didn’t take care to correctly mention the app that comes preloaded as the gallery app, and that is “Photos” on globally available Nokia devices. Also, the German or Indian support page for the Nokia 7 feature the picture of the 7 with Chinese UI. Additionally, the manual says “copyright 2018 HMD Global”, but the 7 was announced in 2017. Also, the Indian manual says “Issue 2018-02-17 en-IN” These are additional arguments for the thesis that HMD is planing to launch the Nokia 7 globally. The question is, will it come with upgraded specifications and how will it fit into the Nokia 2018 portfolio? What we can guess for 2018 in the midragne segment is that we will have a Nokia 6 2018 at a 200-230 euro price point, and the rumored Nokia 7 plus at about, according to rumors, 350 euros. Between these devices, there is a price gap that HMD could decide to fill. I’m not sure if this is the right thing to do, considering that the new 6 is very close specs-wise to the Nokia 7 available in China. On the other hand, selling a Nokia 7 plus without a Nokia 7 is a little comic. Some suggest calling it the Nokia 6 plus or thinking of some other name for the device. Maybe the globally available Nokia 7 will have better specs, and be priced at about €280-€300, between the 6 2018 and 7 plus. I’m not really sure what to make of this, but we will know more and I hope more will be clearer after 25th of February and HMD’s press conference in Barcelona. You can find the German Nokia 7 support page here or Indian support page here. 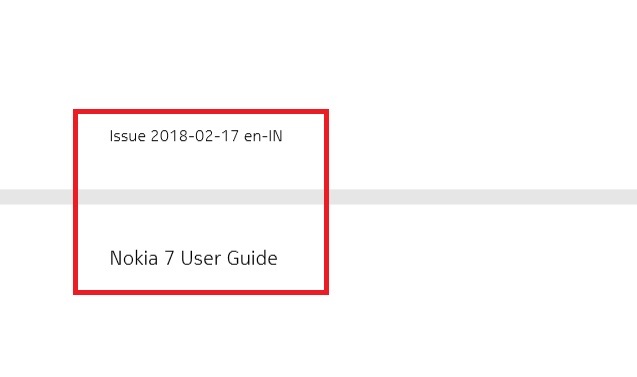 Update: HMD Global also updated the manuals for their other phones on 18th February this year, so this could be just a normal praxis for the Nokia 7 manual and not an indication that the phone will go global. We will be sure in less than a week.